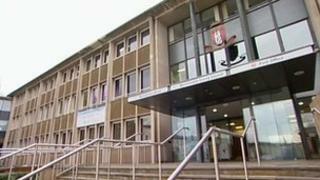 Two Labour councillors have been expelled by Warwickshire County Council after they failed to attend meetings for more than six months. Penny Bould, responsible for the Leamington Brunswick ward, was elected in 2009, while Frank McCarney in Bedworth West, has served for 20 years. Ms Bould said she had been unable to attend meetings due to illness. Mr McCarney declined to comment. June Tandy, leader of the Labour group, said both had previously worked hard. "We do expect councillors to be hard-working community champions to take up issues in council for local people," she said. "If councillors don't go to meetings it is very serious and action has to be taken. "All Labour party candidates, including me, have to sign contracts to work hard for people they represent when they become candidates." In a statement, Ms Bould said: "Unfortunately I am no longer a county councillor because I was physically unable to attend some county council meetings in recent times due to complications caused by an infection. I always gave my apologies. "For most of the last 40 years I have been involved in various forms of trade union roles in the national union of journalists and other unions and voluntary work and I have enjoyed serving the community and fighting for those most at risk in our society." The 1972 Local Government Act means any councillor who "fails throughout a period of six consecutive months from the date of last attendance to attend any meeting of the authority" is disqualified from sitting on a local authority. All wards on Warwickshire County Council are up for election in May.